Lucy Jane Adcock has announced that she is temporarily taking over from Louise Dearman as Miss Adelaide in the UK touring production of Guys and Dolls. She currently understudies Miss Adelaide in the West End production of the show and play her first performance on the tour on 3rd May at the Norwich Theatre Royal. Louise Dearman is not able to do all the tour dates due to other commitments. She is scheduled to return as Miss Adelaide on 7th June when the show opens in Glasgow and will complete the rest of the tour which concludes in Woking on 30th July 2016 (she will not perform on 2nd, 15th or 16th July due to other commitments). 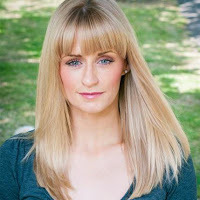 Lucy Jane Adcock's theatre credits include: understudy Mrs Wormwood in Matilda (Cambridge), understudy Pinky Tuscadero & Mrs Cunningham in Happy Days (UK tour), understudy Cassie in A Chorus Line (London Palladium), Top Hat (UK tour/Aldwych), Chicago (Cambridge), Mamma Mia! (Prince of Wales), Starlight Express (UK & Scandinavian tours), Fame (Aldwych Theatre), Tonight’s the Night (Victoria Palace) and Beauty and the Beast (international tour).